A growing interest in the various aspects of knowledge transfer within multinational corporations has been evidenced by a recent surge in empirical research. Despite the fact that the number of empirical studies investigating various aspects of knowledge transfer within multinational corporations has significantly increased, very few insights into the influence of culture on knowledge transfer, however, have come to light. In fact, the cultural aspects and the individuals involved in the transfer and communication of corporate knowledge within multinational corporations seemed to have been overlooked by researchers. This chapter attempts to fill this gap and investigates the impact culture has upon knowledge transfer processes within multinational corporations. It presents a comprehensive intercultural knowledge transfer model and identifies which aspects of national culture hinder and which aspects foster an effective transfer of knowledge. As businesses globalize and thus face global competition, they come under pressure to change and renew their existing practices (Choi and Lee, 1997). Thus, it is increasingly difficult for firms to sustain competitive advantages through the reallocation of capital (Bresman and Birkinshaw, 1999). Goods and services have become more sophisticated in content and production, which forces companies to increase their competitiveness. The foundation of competition has become increasingly knowledge-based, with the focus on developing valuable and hard-to-imitate knowledge that yields sustainable competitive advantages (Soo, 2005). 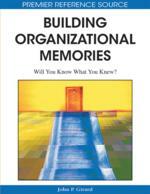 Knowledge in an organizational context refers to the intellectual assets of an organization. Knowledge refers to “valuable information arising from reflection, synthesis, and other cognitive activities of the human mind. It is often, but not always, hard to structure, difficult to capture on machines, sometimes tacit, and hard to transfer” (Mockler 2001, p. 3673). The most relevant feature of knowledge is its division into tacit and explicit knowledge. Maasdorp (2001) considers this a distinction between focal (explicit) and background (tacit) knowledge. Explicit knowledge is the most articulable and the most context-free type of knowledge. It exhibits the highest degree of fit between the knowledge and its representation to others (Doz and Santos, 1997). It is knowledge that can be separated from its owner and expressed in a formal and systematic language (Nonaka, 2000), learned by observation and study (Doz and Santos 1997) and can be shared in the form of data, scientific formulas, specifications, manuals, (Nonaka, 2001), patents, technical blueprints, computer software, etc. (Doz and Santos, 1997). Because of its explicit form it is easily processed, transmitted and stored (Nonaka, 1994; Nonaka, Toyama et al. 2001). The role of explicit knowledge in organizations is expanding and it is considered a key factor of production within the knowledge economy (Zack, 1999). Explicit knowledge is largely characterized by the separation of the individual that holds knowledge and the known. This, however, does not mean that explicit knowledge is easy to handle. Tacit knowledge on the other hand is based on the unity of the person who knows and the object of knowledge (Scharmer, 2000). It is deeply rooted in action, commitment, and involvement in a specific context (Nonaka, 1994). Polanyi (1985) puts it like this: “We know more than we can say”. He observes that although people may be able to perform certain tasks, they may not be able to articulate the way they managed to perform them. Being able to perform an activity does not imply that it is also possible to explain the very same action (Polanyi, 1985). Tacit knowledge is therefore not only strongly connected to its knowledge owner, but is also located within an individual. It refers to knowledge that is not easily articulated and is defined as “non-codified, disembodied, know-how that is acquired via the informal take-up of learned behaviour and procedures” (Howells 1996). In fact, knowledge can never be fully explicit and always shows a certain degree of tacitness. Even if knowledge can be separated from its owner and put down in words or other explicit ways, there is still a part of it which stays tacit and can not be extracted and therefore can not be easily shared.